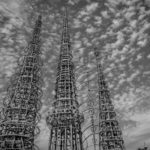 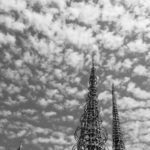 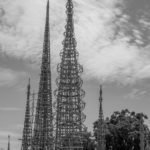 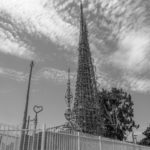 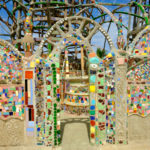 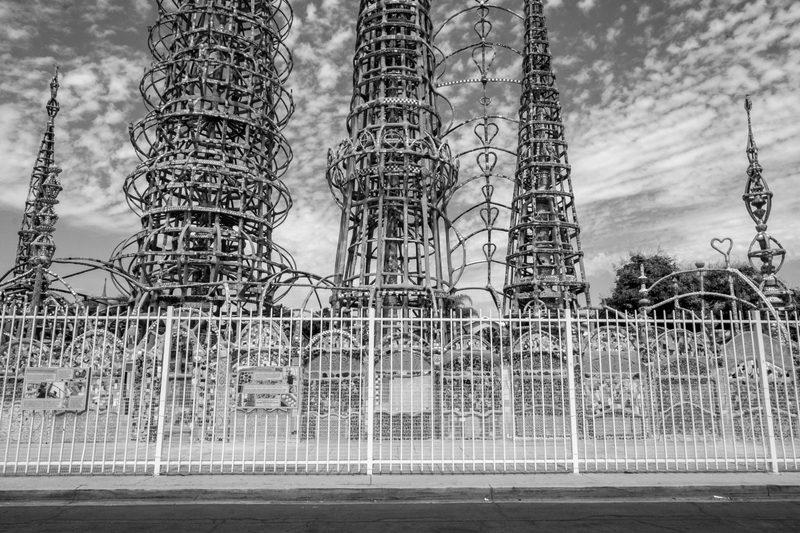 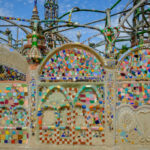 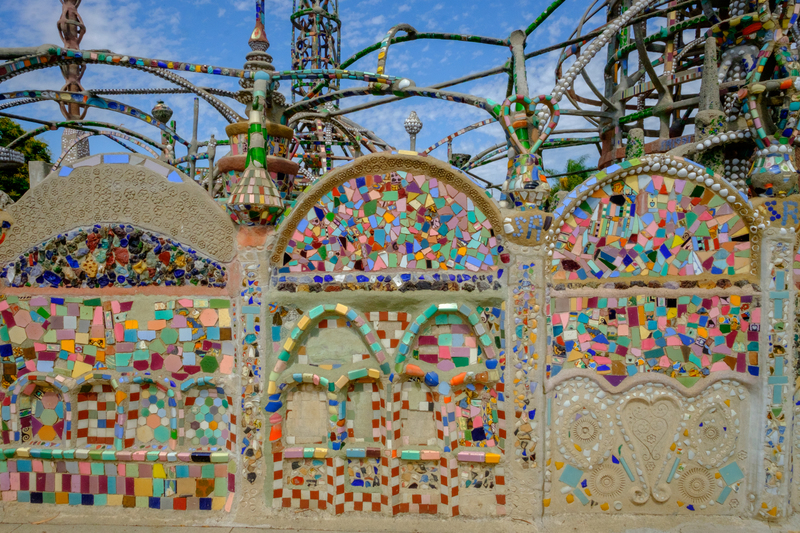 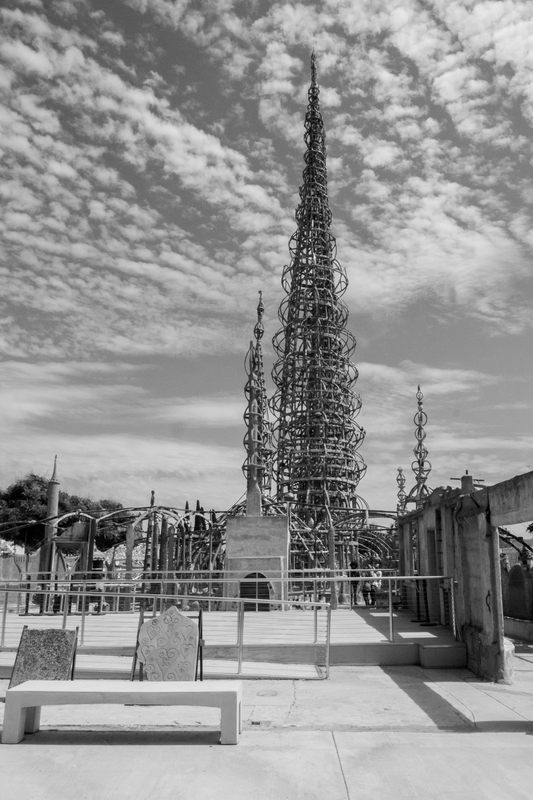 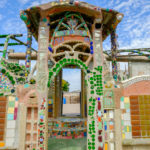 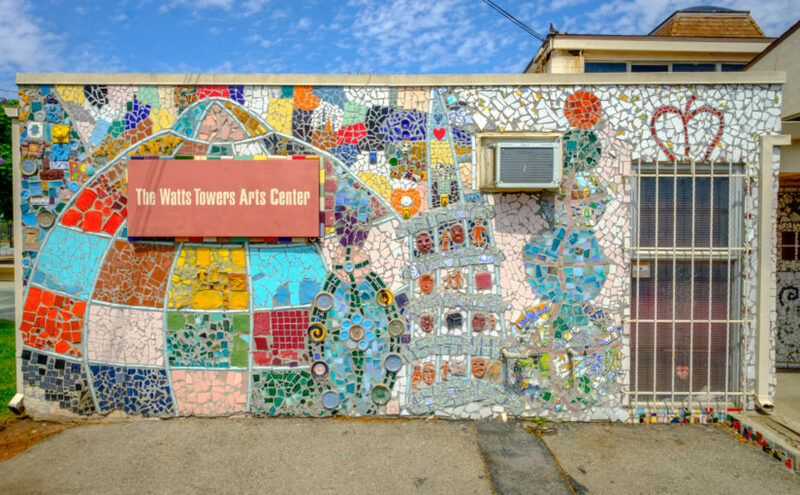 My most recent trip to Los Angeles finally yielded a visit to the Watts Towers. 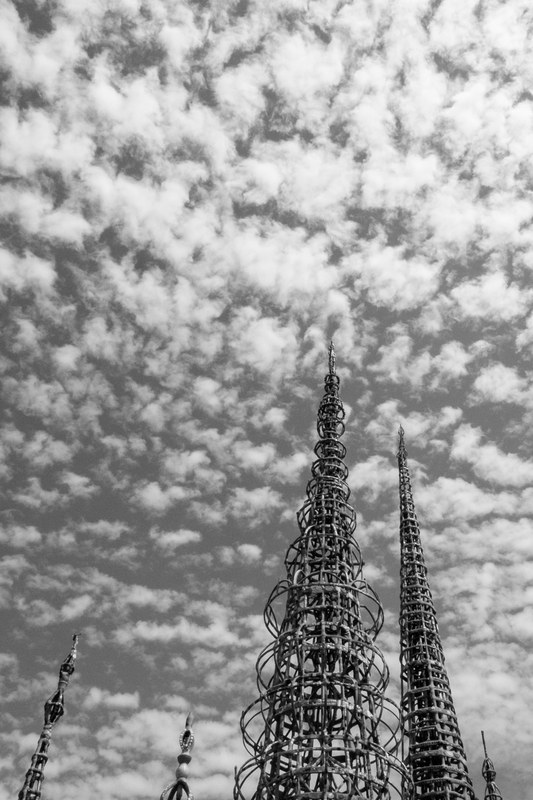 I’m not sure what I expected to see but the effect of the towers rising, as their designer and builder Simon Rodia put it, “up to the sun,” was both breathtaking and calming. 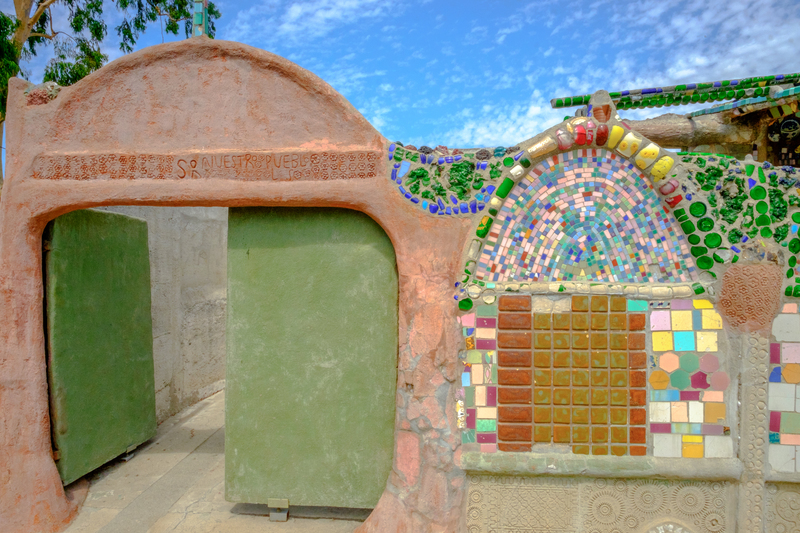 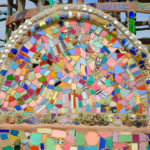 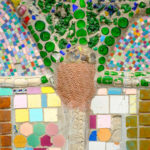 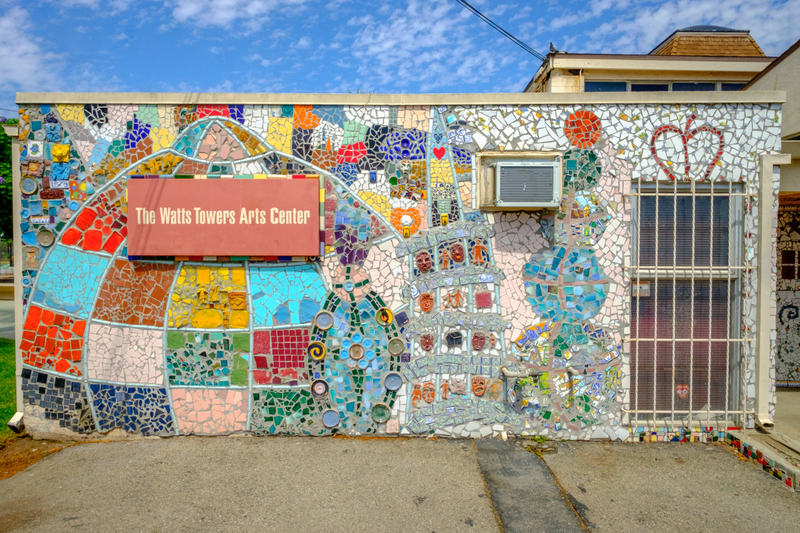 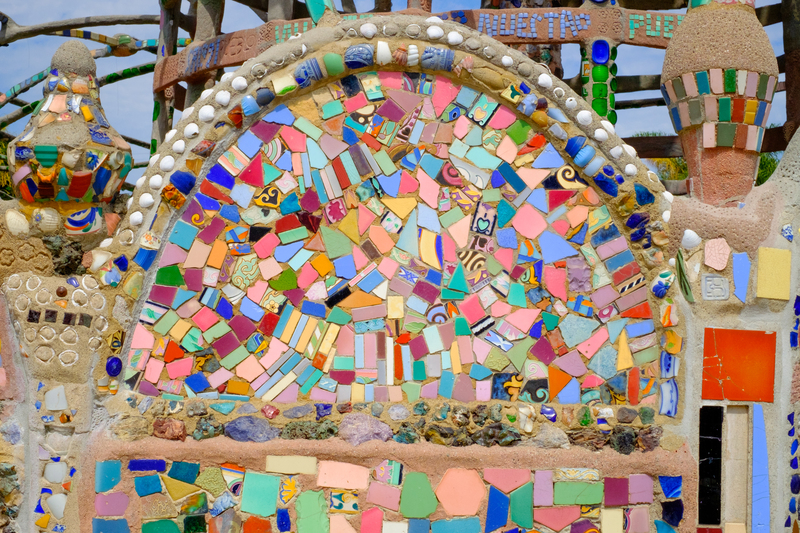 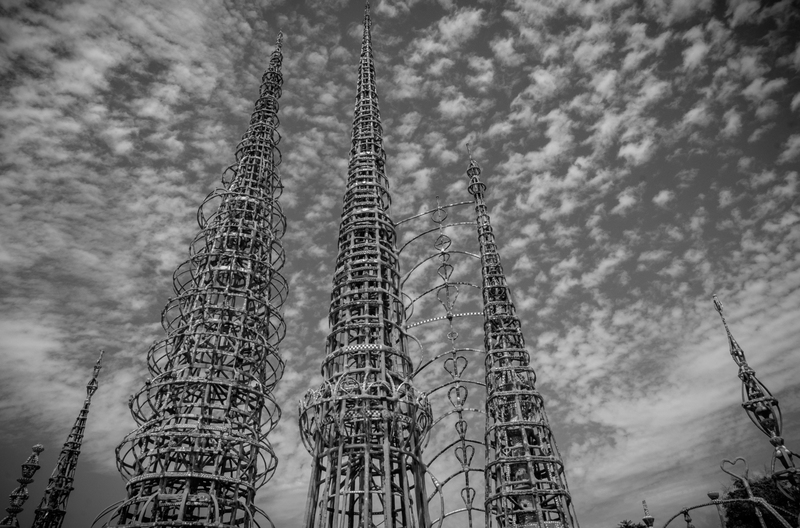 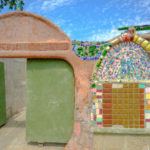 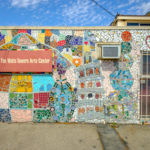 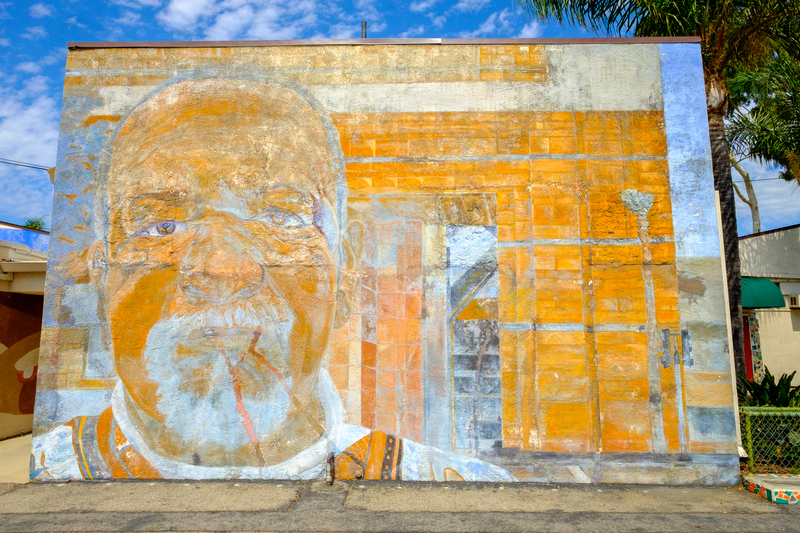 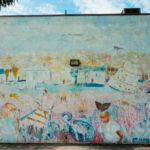 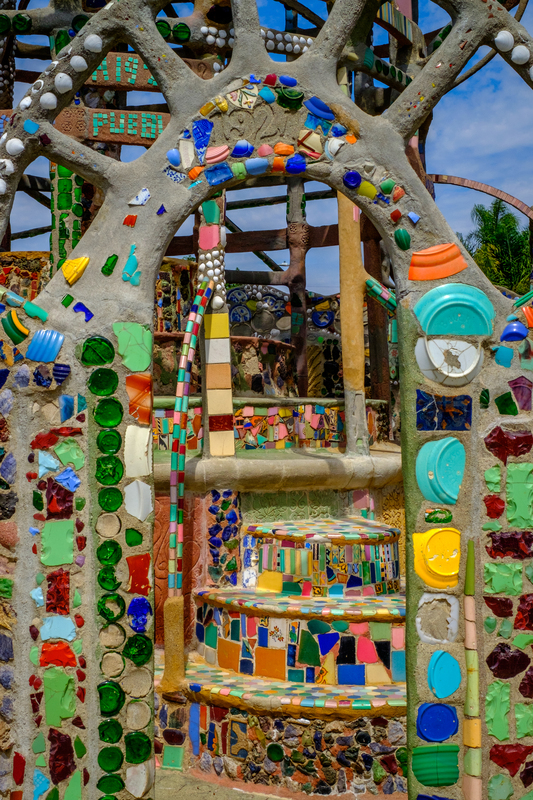 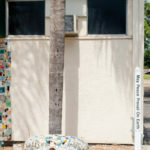 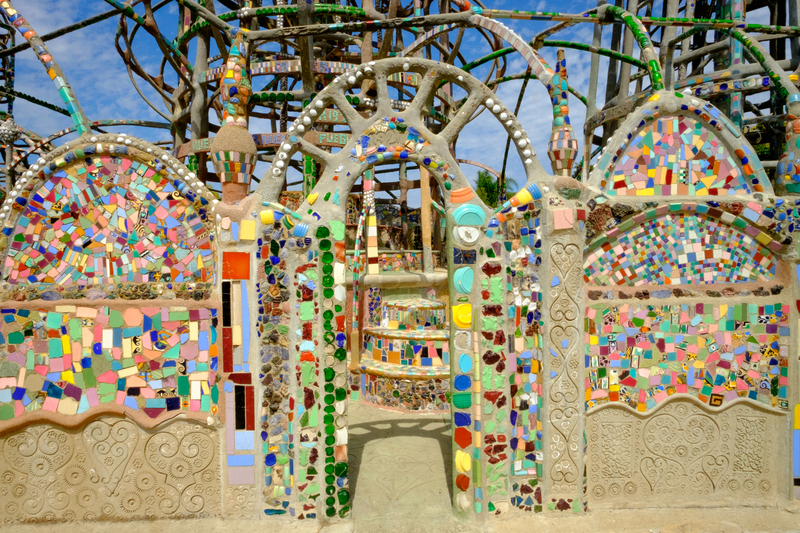 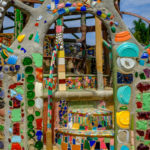 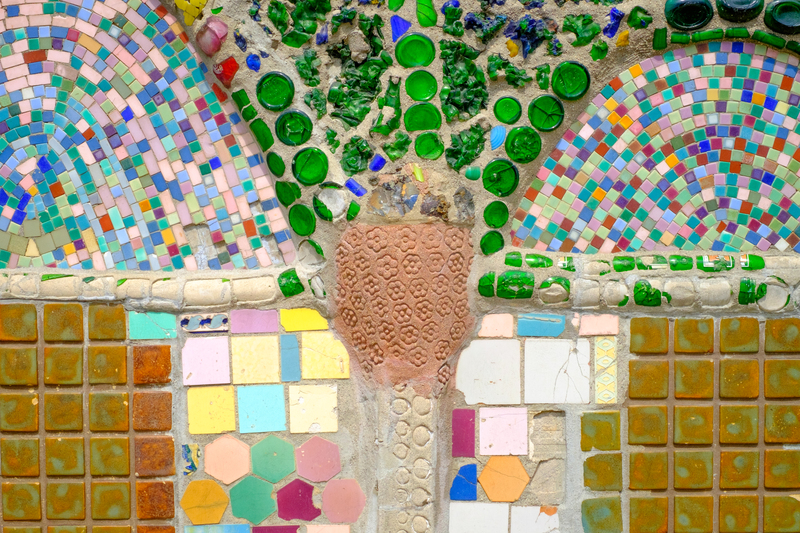 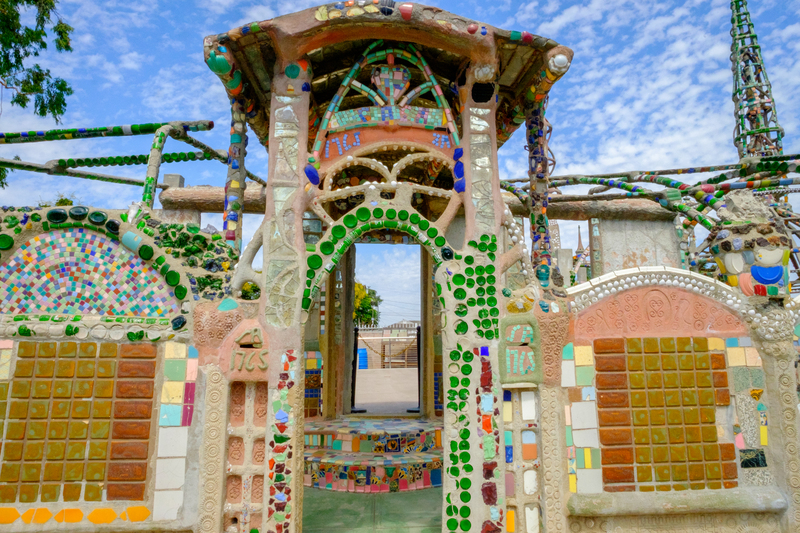 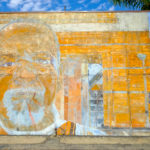 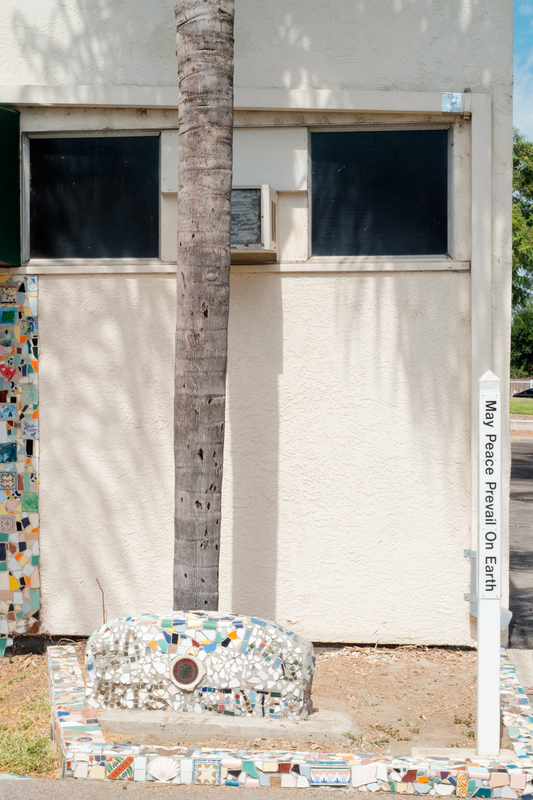 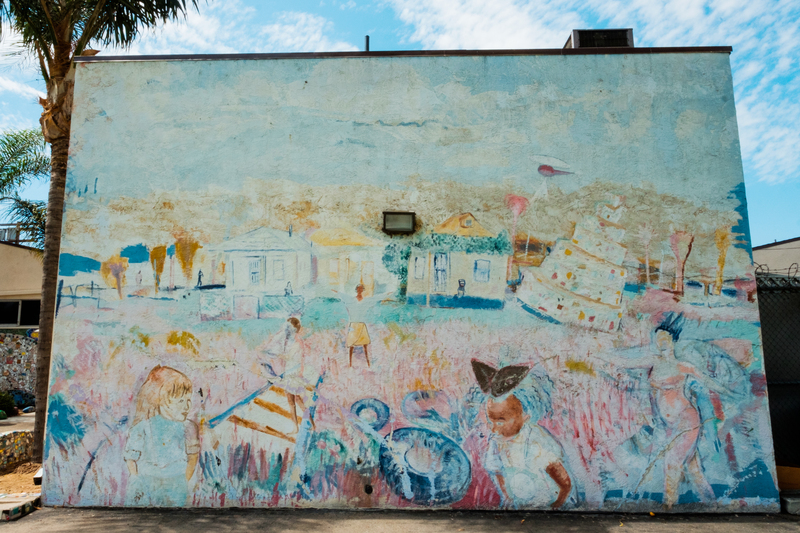 There, in the middle of a tidy, residential area, is the Watts Towers Arts Center, home to the single city block environed by the towers and their relevant structures, as well as a museum of contemporary art, a handfull of faded but still compelling murals, and some freestanding sculpture. 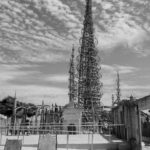 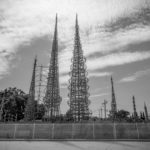 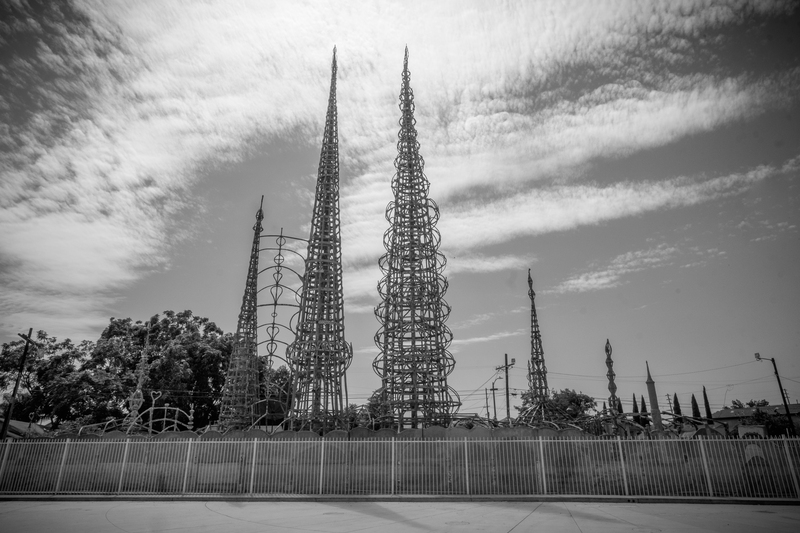 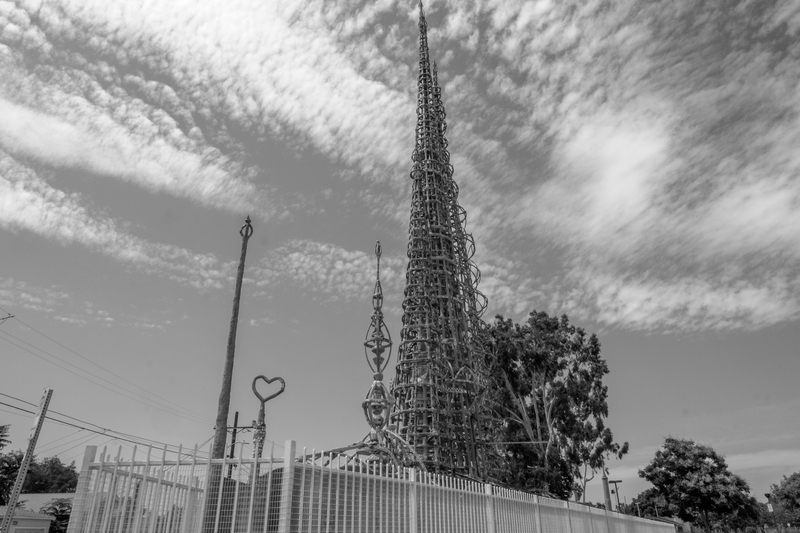 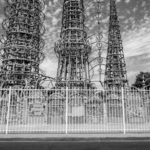 It is a celebration of the neighborhood, the vibrancy of Watts, a full embrace of its past, and full advocacy of its present and future. 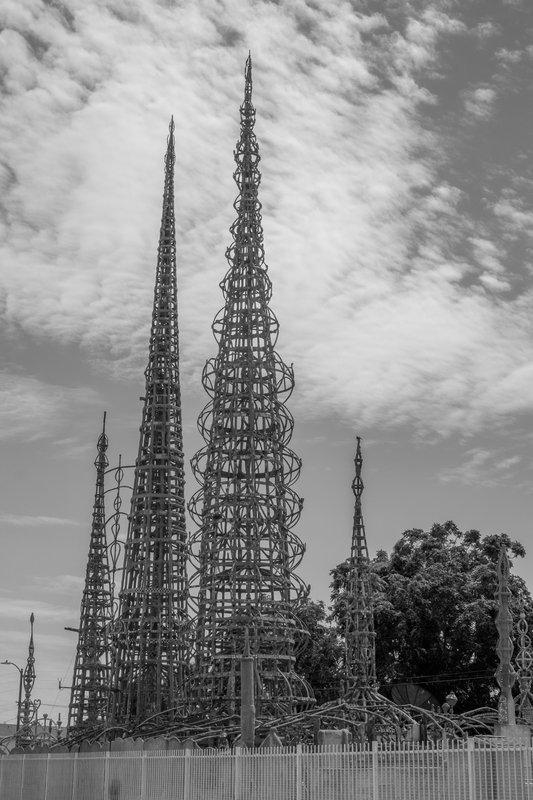 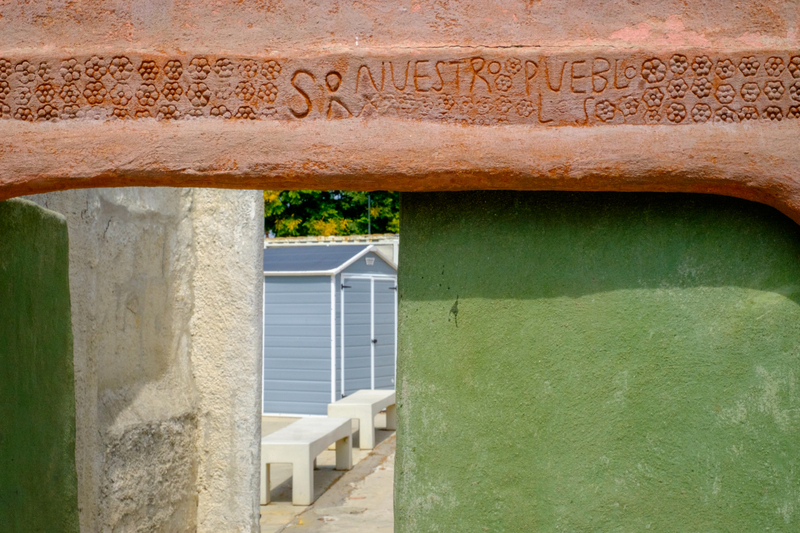 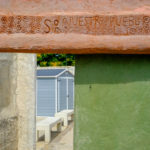 There are artist residencies and music festivals, and jazz education and mentorship for emerging and developing youth musicians, but above all are the towers, Nuestro Pueblo.